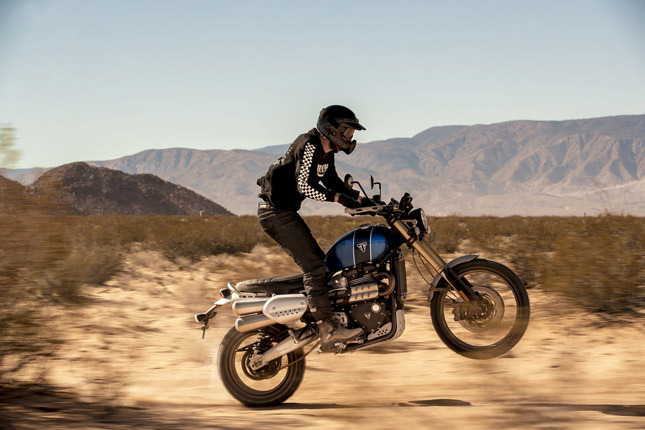 For a while, Triumph had been teasing the coming of 2019 Scrambler 1200. The new version is finally revealed and it does not disappoint. 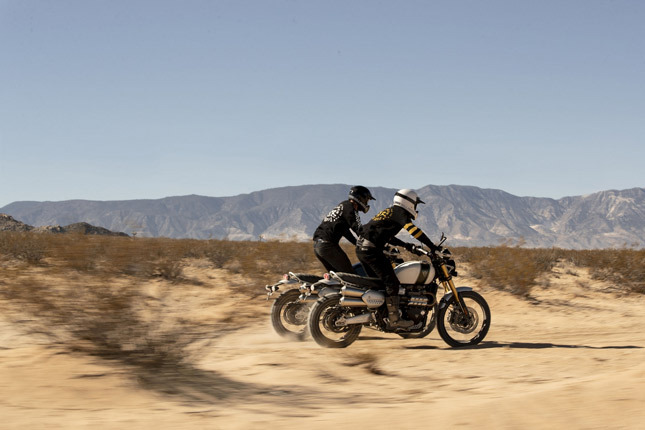 The 2019 Triumph Scrambler 1200 comes in two variants the XE and XC. The XE variant is sort of like other Scramblers in this range, capable of light off-roading. While the XE is a true Scrambler, built to tread anywhere. 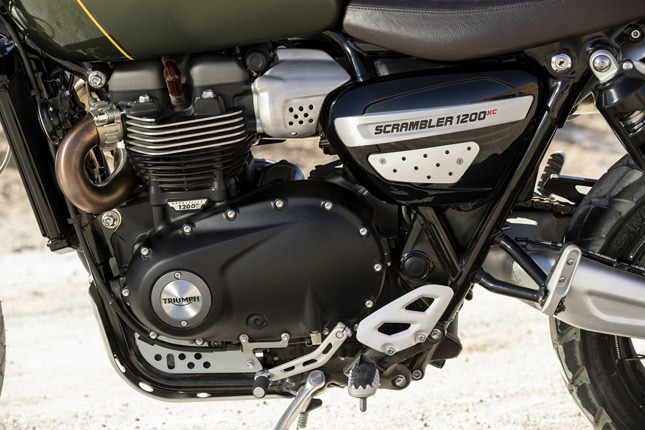 1: The Engine is the same but more powerful Triumph Scrambler uses the same liquid-cooled T120 engine but churns out 88.7 HP at 7,400 RPM and 119 Nm of torque. In comparison, the T120 in its stock state produces 79 HP at 6,550 RPM and 105 Nm of torque at 3,100 RPM. 2: Loaded with rider aids Triumph Scrambler 1200 comes with six riding modes, dual channel cornering ABS, optimised cornering traction control, and a lot more. Five of the six modes are available on the XE version and all of them can be found on the XC variant. The additional mode is “off-road pro” which turns off the ABS and the traction control while simultaneously switching to a different dedicated throttle map. The cornering ABS and the optimised cornering traction control is available only on the XE version and works with the help of IMU (Inertial measurement unit). The IMU reports a body’s specific force and angular rate, which helps in optimising cornering ABS when the bike is leaning. The IMU works similarly for the optimised traction control as well. 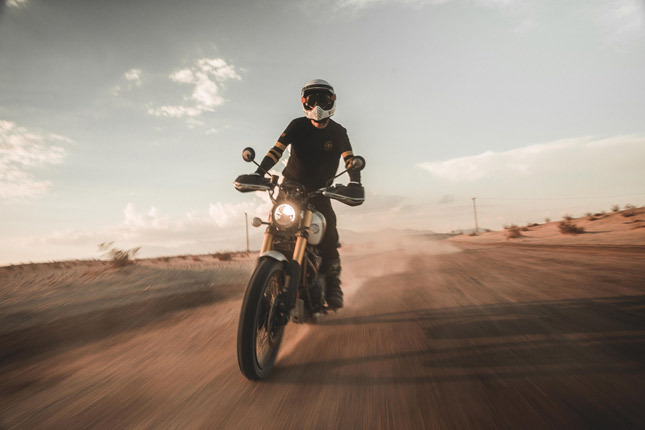 3: Host of added features The 2019 Triumph Scrambler 1200 comes with a lot of extra components which makes the life of the rider comfortable. The switches are back-lit, make night rides easy. 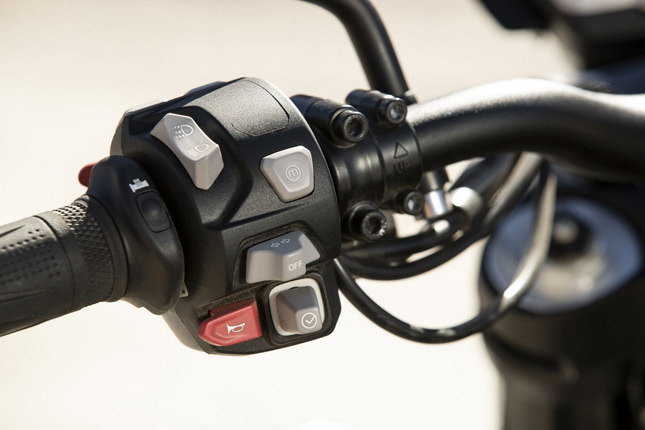 Torque assist clutch reduces wrist pain on a long ride. Keyless ignition won’t allow cops to steal your key and you can chill on a long empty road because of cruise control. The lights are LED, grips can be heated during the winter, and USB charging makes sure your phone doesn’t run out of juice. Most important of all is the TFT dash. It is now common across several Triumph motorcycles and the company takes it up a notch in Triumph Scrambler 1200. 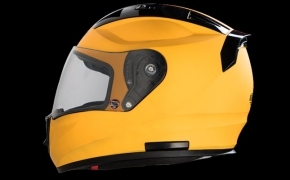 It features Bluetooth connectivity and access to all the electronic rider aids. It displays a lot of information and looks like a million bucks. 4: Supported by Google Turn by Turn navigation from Google makes sure that you never get lost on you Triumph Scrambler 1200. 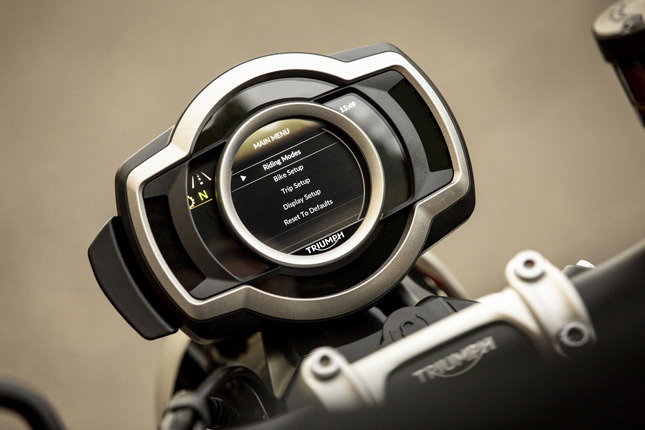 The rider can access the navigation by downloading the official Triumph smartphone app and pairing the phone with a Bluetooth module. You can also control music and take calls using onboard controls. 5: Control your GoPro The rider can control the functions of his GoPro camera. The action can be paired with the Bluetooth and its functions can be controlled using the left side switches. Both models feature a fully adjustable upside-down Showa forks. On the XE variant, the forks are 47 mm thick with almost 250 mm of travel while the XC version has 45 mm thick suspension with 200 mm of travel. Both the XE and XC variant come equipped with Ohlins fully adjustable twin shock absorbers with a piggyback reservoir. On the XC model, the travel is 200 mm while the XE variant enjoys 250 mm of travel. The wheelbase on the XE model is longer at 1569 mm as compared to 1529 mm on XC. This is due to a 32 mm longer swing arm from the XE. The XE is naturally taller with an 871 mm seat height while the XC is also around the same level with an 840 mm tall seat. Both models share the same frame, brakes, exhaust, wheels, tyres, fuel capacity, power and torque. The Triumph XE is available in two dual tone colours Fusion Whit / Brooklands Green and Cobalt Blue / Jet Black. While the XC also comes with two distinct colours of its own including Jet Black / Matt Black and Khaki Green / Brooklands Green. The price of both bikes is yet to be announced. 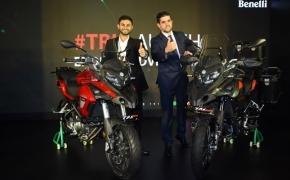 For a detailed overview of both bikes, stay tuned to BikesMedia.